Conway Stoughton is one of the only law firms in the northeast which has its own custom-designed and fully functional courtroom. The Courtroom replicates an actual courtroom in nearly every respect including counsel tables, a judge’s bench, a witness stand and jury box - among other features. 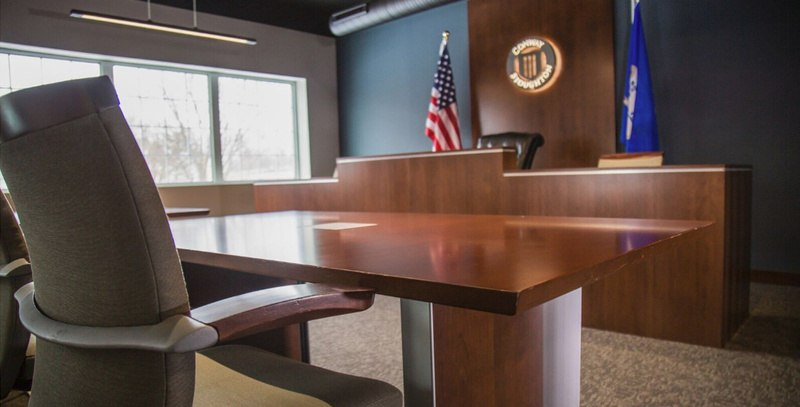 This state-of-the-art facility provides a critical advantage to our attorneys and clients in litigation as it is used to acclimate clients and fact and expert witnesses to the courtroom environment in order to better prepare them to provide testimony at trial. It is also used for mooting appellate arguments, hosting legal seminars and by local law school mock trial teams. The Courtroom is a proud manifestation of Conway Stoughton’s commitment to providing its clients with superior legal services.